Home » Hacks & Tips » Windows » Everythingwares's Speed Optimizer (Beta) : Ignite your PC/Laptop's speed to its optimum performance. 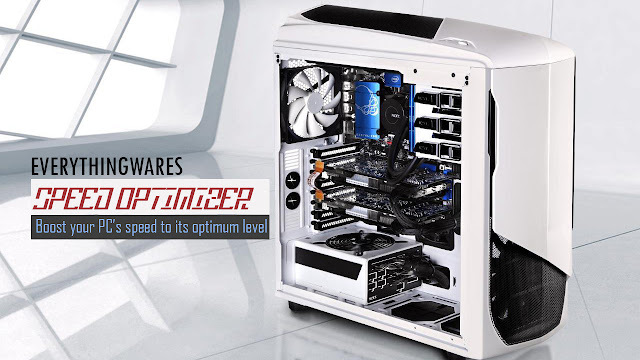 Everythingwares's Speed Optimizer (Beta) : Ignite your PC/Laptop's speed to its optimum performance. This Product is for Free and independently developed by Prof. K for Everythingwares. Like our FB Page : Everythingwares for more goodies and tech ideas. 5. Double Click "Speed Optimizer.exe"
1. Once the application is running, just click "Optimize"
2. If you wish to go back to the previous state, just click "Restore Defaults"
4. Disables automatic updates for faster internet browsing. Disclaimer: This is a beta version, install at your own risk. Fully compatible with Windows 7 32 and 64bit versions. 0 Response to "Everythingwares's Speed Optimizer (Beta) : Ignite your PC/Laptop's speed to its optimum performance."